In 2005, the Rosebud water tower was destroyed in an explosion caused by “an accumulation of gases.” In 2006, the government promised to provide safe alternate water to all harmed Albertans, including Jessica. 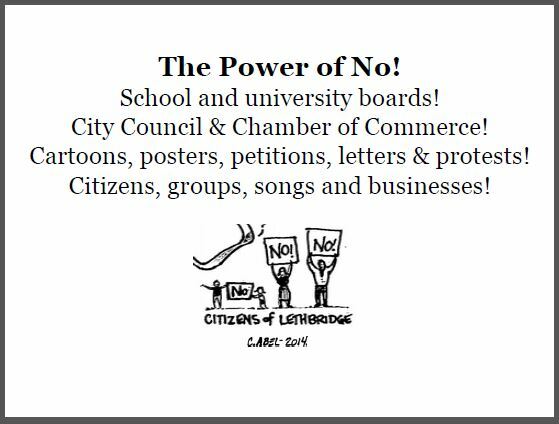 “Whatever is necessary to be done will be done,” proclaimed then Premier Ralph Klein. Jessica’s water is too explosive to even flush toilets with; she’s been hauling water herself since 2008. After hearing arguments in January 2013, Justice Barbara Veldhuis, the case management judge, was promoted by the Harper government to the Alberta Court of Appeal and not allowed to rule. On February 15, 2013, Chief Justice Neil Wittmann volunteered to take over as case management judge. 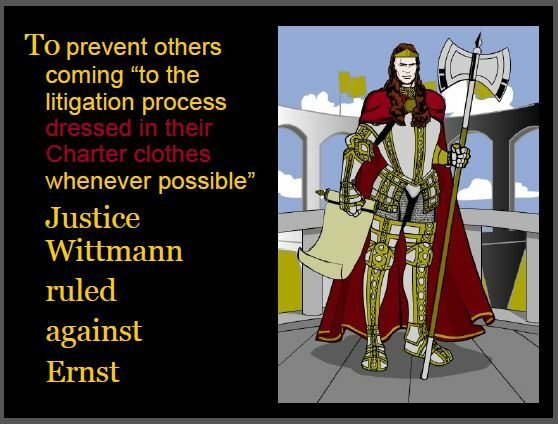 Seven months later he agreed with the AER that it had complete legal immunity, even for violating constitutional rights, and did not owe Jessica any “duty of care.” Justice Wittmann ruled the AER can’t rely on its argument that Jessica is a terrorist in “the total absence of evidence” and that the AER had violated Jessica’s Charter rights, but to prevent others coming “to the litigation process dressed in their Charter clothes whenever possible” he ruled against her. 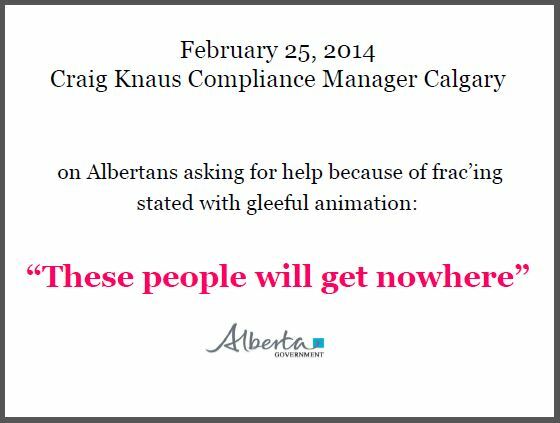 Jessica’s Appeal Factum was filed in the Alberta Court of Appeal; Jessica’s lawyers will have 45 minutes to present their arguments to a panel of three judges on May 8, 2014, in Calgary. 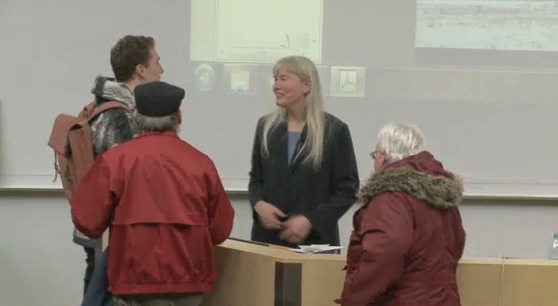 Justice Wittmann rejected the government’s attempts to have paragraphs stuck from the claim that mention “contamination” and other contaminated water wells in Rosebud. Subsequently, after waiting nearly three years, the government applied to have Jessica’s entire claim struck, arguing “no duty of care” and immunity. Justice Wittmann granted the government’s late request. 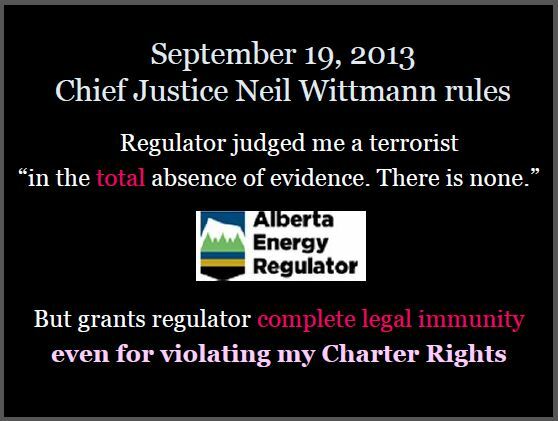 That hearing is on April 16, 2014 in Drumheller to be heard by Justice Wittmann. Jessica’s response to the government was recently filed and claims that the approach taken by Alberta Environment is an abuse of process and should be dismissed. 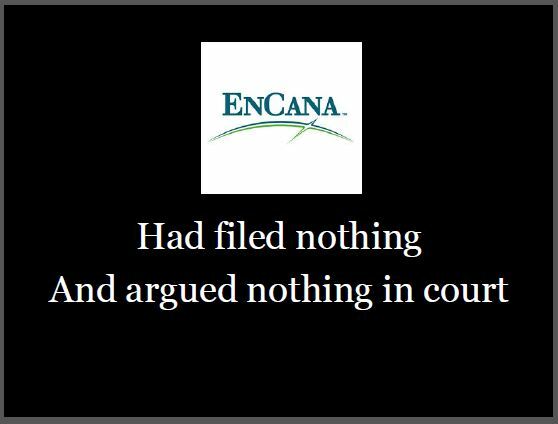 Encana filed no applications to strike and argued nothing in court.